Founded in 1975 as Merloni Elettrodomestici SpA by Vittorio Merloni, as a spin-off from Industrie Merloni. It was renamed Indesit Company S.p.A in 2005 after a company it acquired in 1987. 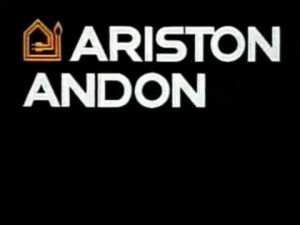 In the 1980s, with the release of other Italian companies to foreign groups of appliances, Merloni Household became the first domestic producer in the industry. Since 1981 the Company was going through a crisis period, which ended in 1984, when Vittorio Merloni, having concluded its president of Confindustria, returning to driving. Profits and revenues from the Company grew, and this led the Merloni family in 1986 to decide his entry into the stock market. In 1987, Merloni Elettrodomestici, already listed on the stock exchange, acquired Indesit, its great rival on the Italian market but also having a certain international presence, and the 33% of Philco Italy. Toshiba was founded in 1939 as Tokyo Shibaura Electric K.K. through the merger of Shibaura Seisaku-sho (founded in 1875) and Tokyo Denki (founded in 1890). The company name was officially changed to Toshiba Corporation in 1978. Toshiba has made numerous corporate acquisitions during its history, including of Semp in 1977, of Westinghouse Electric Company in 2006, of Landis+Gyr in 2011, and of IBM’s point-of-sale business in 2012. A teasmade is a machine for making tea automatically. It was once common in the United Kingdom and some of its former colonies. Teasmades generally include an analogue alarm clock and are designed to be used at the bedside, to ensure tea is ready first thing in the morning. Although crude versions existed in Victorian times, they only became practical with the availability of electric versions in the 1930s. They reached their peak in popularity in the 1960s and 1970s but have since declined to the extent that, in the few places they are sold new, they are a retro novelty item. 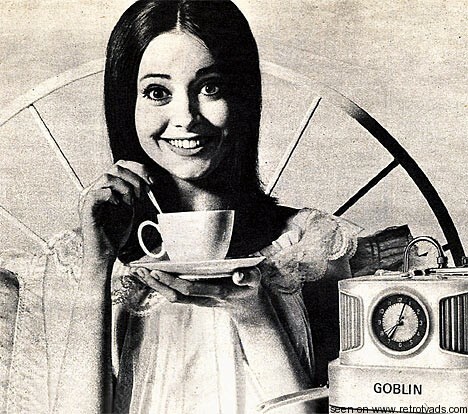 The name teasmade is an example of a genericized trademark, introduced by Goblin but now commonly used to refer to any automatic teamaking appliance. It is now a registered trademark belonging to Swan.